Yu-Gi-Oh! BAM Pocket is a solid piece of trading card game. Despite its simplified gameplay, it still houses much of the “Duel” experience that the original game provided. Like in the original game, the goal is to reduce your opponents life points to zero. You employ this by putting into play your cards at hand and to successfully attack and over power your opponent’s own set of cards. Your deck however is composed of only 15 combinations of cards, monsters and spells, at any given time instead of the usual 40. The game mainly uses the special effects or conditions of the cards to employ a deeper strategy to game. 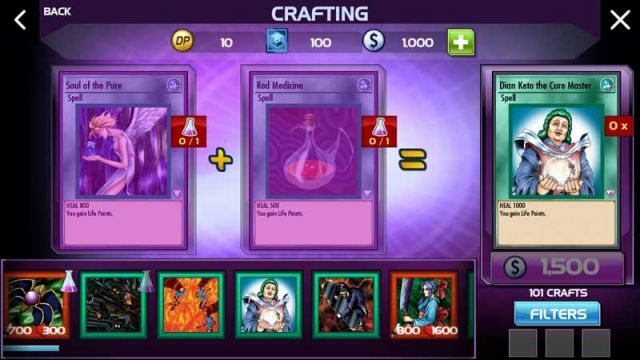 Also, your life points is fully dependent on the computed total life points value of your monsters at hand instead of the usual 4000 or 6000 equal life points of both players.